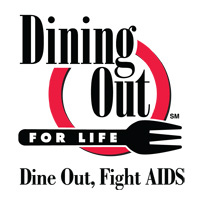 Dine out at participating McMenamins locations on this day and 20% of the evening's sales after 5 pm will be donated to local organizations as part of Dining Out For Life International, whose motto is "Dine Out, Fight AIDS." We've brewed a special beer to release on this day, "Undectable IPA," named for the status of people receiving HIV treatment who reach a point where the virus is no longer detectable in their blood. So bring friends and family out for good food, good beer and a good cause. Bring along your McMenamins Passport! In addition to the just-for-fun Passport stamp tonight, we'll be giving out the "Attend a Friends & Family Night" experience stamp (with minimum $10 purchase).